“He who has not completely forgiven those who stumble, and has not brought his heart to God free from grievance and illuminated with the light of reconciliation with his neighbor, will fail to attain the grace of the blessings he has prayed for. Indeed, he will justly be handed over to temptation and to evil, so that, having retracted his judgments of other people, he may learn to purify himself of his own sins. Scripture here means by temptation the law of sin, of which the first man was free when he was created. And by ‘what is evil’ it means the devil, who has mixed this law of sin with human nature, deceitfully persuading man to transfer his soul’s desire from what is permitted to what is forbidden, and to turn aside to the transgression of the divine commandment. A former aid to Byzantine Emperor Heraclius who entered monastic life, St Maximos the Confessor, also known as Maximos the Theologian and Maximos of Constantinople, was a monk, master theologian, and prolific scholar who lived from 580-662. “To forgive means to restore a bond of love and communion when there has been a rupture. Sin ruptures our relationship with God and others, as also do offenses taken and given among people. When the bond is broken with other people, we tend to objectify them and judge them, not seeing them as persons, but only as objects of our anger and hurt. This is our sinful reaction. We categorize people in terms of their transgression against us. The longer we nurture the anger and alienation, the more deeply the resentment takes hold in our heart, and the more it feeds on our soul.” – Then-Hieromonk Jonah in an interview with the Antiochian Orthodox Christian Archdiocese of North America on “Forgiveness and Reconciliation”. 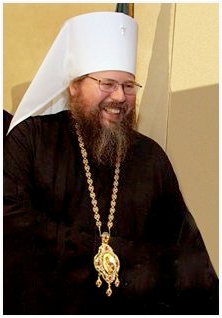 Metropolitan Jonah shared the above insights with his interviewers before he was called to the episcopate, before his elevation and consecration to the primacy as the Metropolitan of the Orthodox Church in America. He shared them at a time when he was beset by many frustrations and difficulties, struggling to sustain the men’s monastery he founded which was dedicated to St John Maximovitch, archbishop of Shanghai and San Francisco in the wilderness of north central California. These words reveal not only startling insight into his pastoral approach and the spiritual wisdom he acquired from his time living for over a year as a monk at the Russian island monastic community of Valaam, but they are a testament to his entire spiritual worldview. Irrespective of what future position Metropolitan Jonah may or may not hold in the Orthodox Church in America or in another jurisdiction, it is this spiritual worldview which Orthodoxy in America, indeed, the faithful everywhere, so desperately needs today. With regard to the Metropolitan’s recent resignation, I cannot and do not claim to be without any sort of bias, except that I am in no ways a ‘partisan’ of any side. Metropolitan Jonah is my spiritual father. He received me into the Church by chrismation last December. I have known him to be a person whose loving and pastoral kindness, spiritual wisdom, and theological insights have inspired and challenged me and many faithful parishioners at St Nicholas Cathedral in DC and across the continent. Applying such words in times such as these can be very difficult whenever we are feeling hurt or confused or betrayed. In the spirit of Christian loving-kindness, we must endeavor not to give voice to our anger, which, once uttered in public or on some Internet forum, can never be undone, but in our love for the Church, in our love for Metropolitan Jonah, for all that he was and is for us, we must turn to Almighty God with our prayers. Let us ask for the mercy of God and peace for our souls from the Holy Spirit in humble, simple prayer to our Lord, God and Savior Jesus Christ. Let us try to find that space within ourselves where we can attune our nous, our spiritual consciousness, to that prayer of the heart which springs forth from the very depths of our being. We must also turn to our Blessed Mother and champion Lady, the Theotokos and ever-Virgin Mary, and to our many beloved saints, that they might intercede with God for us and bring peace anew to the suffering Church on earth. As someone who was blessed to meet and talk with His Beatitude many times, who witnessed firsthand his loving pastoral spirit, his incredible kindness, his acetic discipline, and deep spiritual wisdom, I mourn his resignation as Primate. Selfishly, I fear that I will not be able to see him in the future as often as I would like. This is difficult for me because he is my spiritual father and he has been a steady source of great wisdom and guidance. Yet for me it is much more difficult to hold onto anger or feelings of shock or hopelessness, then to let them naturally give way to love, hope, and a spirit of forgiveness. 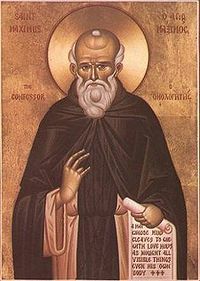 As Metropolitan Jonah observed in the above-mentioned interview, to have an attitude of forgiveness does not mean ‘enabling’ or accepting wrongs as somehow justified or ‘right’, but it means letting go of anger or resentment and endeavoring to see Christ present in the person or persons who have hurt us: “Forgiveness means overlooking the sin or transgression, and restoring a bond of love. . . Forgiveness means laying aside our judgments of the other person and our own sinful reactions, and accepting others for who they are.” It is this truly radical spirit of forgiveness to which we are called today in the life of the Church. A great temptation exists right now to rave about conspiracies and factions and, as some Internet writers have put it, about ‘wolves’ moving in darkness. I look at these writings and I see something of myself in them, in that many of these writers are hurting deeply right now because of their love for the Metropolitan and their feeling that his resignation was pursued in a way contrary to an expected spirit of Christian love. Yet in these writings and blogs, the rumors and speculation about the motives of the Holy Synod, etc, I see the potential for great spiritual harm and danger to all present. Like most of you, I too have a strong desire to see a full and open, third party investigation into the Synod’s claims against the Metropolitan. I expect that this investigation will reveal the Metropolitan to be innocent of the grave charges leveled against him by the Synod in their recent July 16 public statement, and that, in his vindication, the Metropolitan would be magnanimous and forgiving in a true Christian spirit. We must assume the best about the Holy Synod’s intentions until we have any proof otherwise, and likewise, the Metropolitan’s critics must also assume the best about him. All the while, as members of the same Church, united in all matters of faith, belief and doctrine, we must be very cautious not to use words or enter into an attitude which can be considered one of ‘attacking’ the Holy Synod, not for fear of being silenced, but because if we allow any anger or hatred into our hearts, we risk destroying any possible future unity in the Church. We risk destroying the most basic bonds of Christian love, however strained they might already be, and we cannot do this. However difficult, we must remember Christ’s great commandment that we need to love one another even as He loves us, in spite of our flaws. This temptation to give into suspicion and anger is surely sowing further discord in the life of the Church. Think of how broken and fragmented she is now! Do any of us want to add to that by numbering our voices among the hateful, the angry, or the bitter? We must remember the words of the Metropolitan’s official resignation letter, regardless of whether or not they were his own words or if someone else wrote them for him to sign, as seems likely. 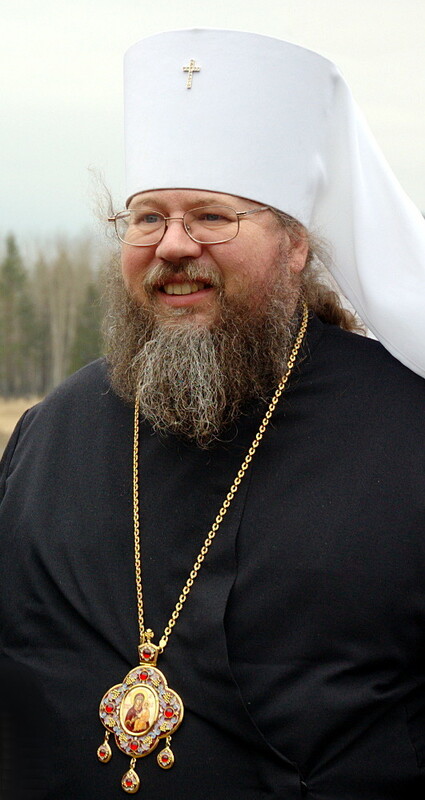 Metropolitan Jonah still signed his name to them, acknowledging that he did not think he had the personality or temperament to continue as primate of the Church. I have my own thoughts on whether or not he signed his name to this letter under great emotional strain and duress, but the Metropolitan has often spoken of how he felt inadequate as the untested new hierarch taking on complex administrative responsibilities which made him effectively the ‘chief administrator’ of such a geographically vast Church. Metropolitan Jonah’s resignation does not mean that we as a Church are losing his guiding voice or the deep spiritual insights he will continue to offer the faithful. He is simply taking off an immensely heavy role which, by his own admission, he believed he was not the correct person to bear at this time. Another temptation in this uncertain period is for those of us who feel a close connection to Metropolitan Jonah to give in to hyperbolic and exaggerated notions of despair. The idea that the OCA is coming apart internally primarily due to the ‘culture war’ disputes is absurd, given that the other bishops of the Holy Synod joined the Metropolitan in compassionately but firmly defending the Church’s ancient views on the sanctity of human life and on human sexuality. I read Bp. Michael and Bp. Matthias’ letters to their respective dioceses in defense of traditional Christian marriage and expressions of human sexuality and shared these documents with Latter-day Saint (Mormon) friends who expressed a strong interest in our Church’s commitment to these fundamental principles. This unfortunate happening is not a death knoll for Orthodoxy in America. Outside of the OCA, life for other of our Orthodox brothers and sisters continues on, though many of my friends in other jurisdictions have expressed their shock and sadness at hearing of the Metropolitan’s resignation. Given that the OCA survived past scandals of far greater scale, scandals involving criminal and ethical wrongdoing on the part of her senior hierarchs, I do not believe this tumult signifies the absolute death knoll of the OCA. I am not naively optimistic, and I expect a period of decline brought on by many faithful Orthodox Christians’ sense of sadness at the Metropolitan’s abrupt resignation and disillusionment with the lack of transparency and other aspects of the ways senior Church leaders handled this matter, especially in the wake of their letter of July 16 which is already being closely scrutinized. Metropolitan Jonah will not be silenced or shut away. He was and remains a source of great spiritual wisdom and pastoral light and guidance to so many of the faithful. We have no reason to think that his departure from the primacy will change that! Whatever path he discerns, whether he will eventually serve the OCA as a bishop in a new capacity, or enter another jurisdiction as seems likely, I have no doubt that his words of wisdom will continue to inspire many Orthodox faithful for years to come, especially young adults like myself and so many of my friends across jurisdictions. Above all, I hope and pray that he continues to write on current cultural issues, Church theology and spiritual practices, areas in which he as inspired tens of thousands of people, especially young Orthodox Christians. We must remember that Christ remains the head of this Church, guiding and strengthening all Orthodox Christians around the country and across the world. When I was received into the Church, I took on the mantle of the Orthodox faith. The question of which jurisdiction I “belong to” is ultimately irrelevant, so I see myself as belonging only to God, insofar as I struggle to live His commandments and love Him and His creation in all that I do. But in my spiritual sonship to the Triune God, I recognize that I am, by extension, a brother to all my fellow Christians. A crucial part of this life in Christ is for me to love others, even when I do not understand them or approve of their actions or approach. As difficult as it is in these times, we must somehow all summon forth Christian love and a spirit of forgiveness from the depths of our souls. To continue on in a spirit of resentment, anger or possibly even hatred poses not only immense harm to the inner life of the Church, but to the spiritual state of every person who entertains such temptations in their hearts. My patron saint, Elder Silouan the Athonite, cautions that “If you think evil of people, it means you have an evil spirit in you whispering evil thoughts about others. . . This is the rule we have: if you forgive others, it is a sign that the Lord has forgiven you. But if you refuse to forgive, then your own sins remain with you.” Only a radical spirit of forgiveness, strengthened by the grace and power of the Holy Spirit, can bring about the healing which the Orthodox Church in America so desperately needs. What does the period we know as Great Lent truly hold for Orthodox Christians? Is it a time of abstinence from certain cherished foods to heighten our remembrance of Christ’s loving sacrifice for us? Certainly, but if all we do is abstain from meat and dairy products, denying our bodies these forms of sustenance but not exercising repentance and abstinence of the soul, we lose out on much of the fast, only experiencing a small part of what it means to repent and enter into a new mindset, a new way of being. What, then, is the deeper purpose of this ‘Great Fast’? Fr. Andrew Stephen Damick, pastor of St. Paul Orthodox Christian Church in Emmaus, Pennsylvania, author of Orthodoxy and Heterodoxy: Exploring Belief Systems Through the Lens of the Ancient Christian Faith and host of the Orthodoxy and Heterodoxy and Roads from Emmaus podcasts on Ancient Faith Radio, makes the point in this article that the underlying purpose of Orthodox asceticism is to draw us closer to the grace of God, and through this grace, to cooperate in loving synergy with the divine energies and become divinized- that is, partakers of the divine nature. This interview, conducted with a questioner from the Antiochian Archdiocese of North America, is under copyright by Conciliar Press and may not be printed for distribution without their permission.